You’ve always dreamed of living on a waterfront property. Make your dream a reality with one of these 4 luxury waterfront homes. Embrace a lifestyle of relaxation and tranquility, making you feel as though you are always on vacation. 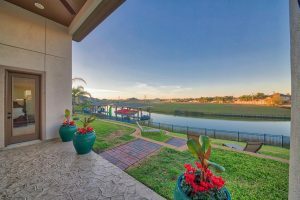 Each of these homes offers a calm and peaceful atmosphere, complemented by breathtaking views of sunsets and sunrises. 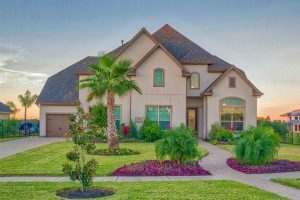 Fill your days with fishing trips, boating adventures, and countless other recreational water activities, while enjoying close proximity to popular attractions and top-rated restaurants. 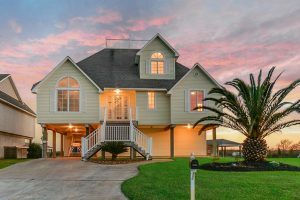 Enjoy luxurious waterfront living in this beautiful coastal home on 1.32 acres. Extensive windows, porches and balconies offer spectacular water views. The beautiful gourmet kitchen gracefully flows into the breakfast area where French doors open onto a deck overlooking the water. Retreat to the master suite that with a private balcony, his and her sinks, large whirlpool tub, and separate shower. 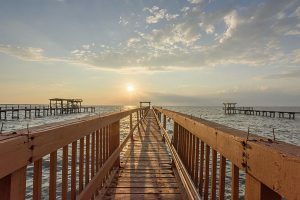 With two private boat slips, you can easily store 1-2 boats or other watercraft, plus getting out to the Gulf for fishing and skiing is a breeze. 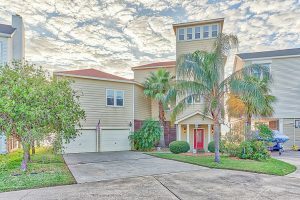 Picture yourself in this beautiful waterfront home with stunning views of Galveston Bay, easy access to the Kemah Boardwalk and the best views of fireworks in Kemah. Enjoy fishing from your private 213 foot pier with fishing lights and sink with running water. Relax on your screened-in porch or on the 2nd floor terrace, both with sweeping views of the bay. This stunning home also includes an elevator, plantation shutters, and replaced/upgraded air handling system with UV filtration. Imagine living in a place where every day feels like a vacation. Take your boat out for fishing trips, water ski, and host weekend barbeques with family and friends. 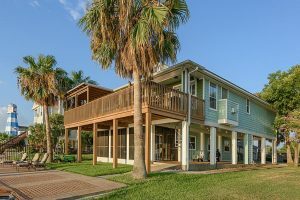 This beautiful waterfront home sits in a prime location with stunning sunset views and easy boat access to the bay. 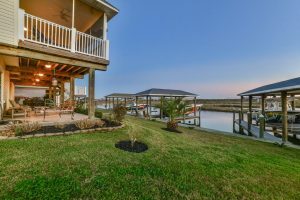 Other features include boathouse with lift, recently updated dock, screened-in porch, 2-car garage, and master suite with a fireplace, private deck, double sinks, spa tub, separate shower and walk-in closet. This beautiful home on a waterfront lot is a true masterpiece. You’ll fall in love with the home’s dramatic entry, sweeping staircase, tall ceilings, hardwood floors and plenty of natural light. The open floor plan offers effortless living spaces, while the ample windows allow for breathtaking views of the water. Unwind in the master suite with bay windows looking out onto the water, and a generously sized master bath with double sinks, spa tub, and shower with bench. 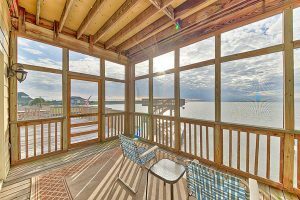 Relax on the covered back patio and soak in the stunning water views.